Toni Castells – Interview | The Ark of Music – The best music in the world…you never knew existed. 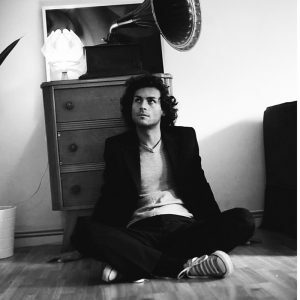 Below, you can read our interview with Toni Castells, and listen to his latest album, 2045. 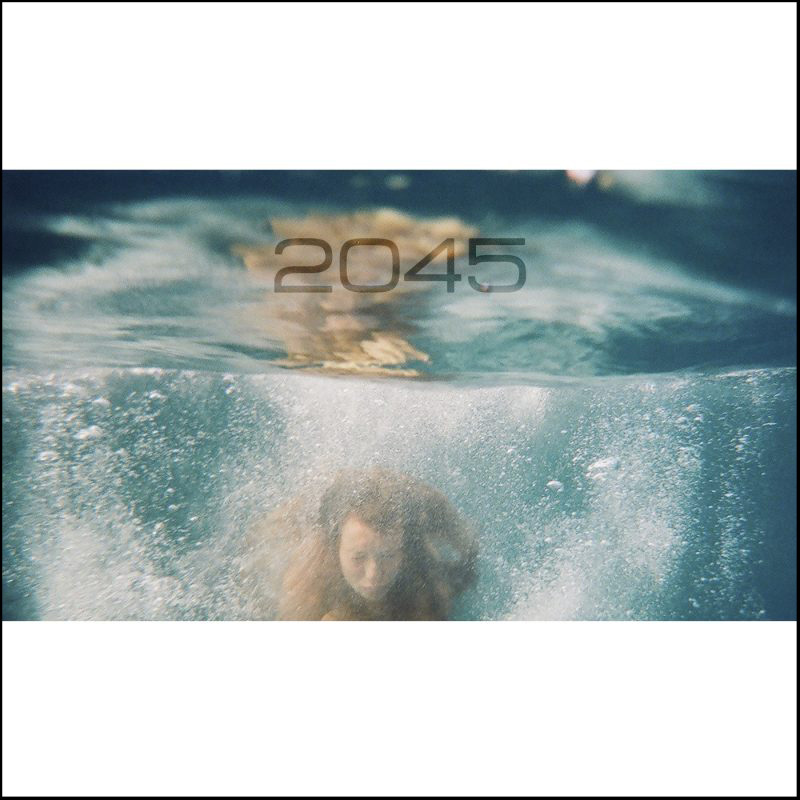 Check out our full music review of 2045, HERE. Q: You’re originally from Spain. Is that where you were sent to music school? How long did you attend? What was your primary focus there? Did you enjoy that experience? A: Yes, I was born in a small town in the Spanish Pyrenees. It’s there where I first attended music school at age 5. I was too young to attend, but my older brother was attending, and I was so insistent in going, that they finally accepted me. My parents moved soon after to another small town closer to Barcelona. Luckily, it also had a music school, one I attended until I was 18. In Spain they follow the conservatoire model where you choose a main instrument (classical guitar in my case), a second orchestral instrument (clarinet), and then you study theory. There was lots of ensemble playing too, chamber and orchestral. As a kid, I had a stutter and the kids at the normal school tortured me about it. Music school was my refuge and the only place I felt safe growing up. Q: Can you tell us about the first moment you knew that you wanted to be a musician? A: It’s hard to say as I have very few memories from my childhood. But my earliest memory is rushing to the TV whenever the theme tune of this Spanish TV show my parents would watch came on. It was Chiquitita by ABBA. I was captivated by those sounds, and I think I already knew from that moment. Q: How old were you when you finally moved to London? What inspired that move? A: I was 23 when I moved to London. At the time I was working in a recording studio near France. It became extremely popular so I was working non-stop there, day and night shifts. I was also playing in a band I had started when I was 13 in my hometown. We practiced twice a week (150km away from the studio), and gigged regularly. I soon burned-out, and it all collapsed around me. I came to London to visit a guitarist I had met while working in the studio—and I never came back to Barcelona. Q: We know you’re fabulous on the keys. Do you play any other instruments? A: To be honest, I’m not that good on the keys at all. I’m quite limited as a piano player, as I never studied the instrument formally (as opposed to classical guitar and clarinet). I would always hang out at the music school, and I would always find an empty class to start hammering the piano and explore. I still play guitar now, but again, with limitations as I don’t practice. I think that these limitations are key for me to compose my music. They force me to simplify and go to the essence of what I’m looking for. Q: You’ve got a long, accomplished body of work. Your current project, 2045, seems to be in a thematic sequence with your past few albums. Can you tell us a bit about the journey your on? What has inspired this search within you? What are you learning? What are you still searching for? A: 2045 was preceded by Life from Light (2012), a piece through which I explored the miracle that life on Planet Earth is. At the time, I became very aware of the damage we are constantly inflicting to our planet. I thought it was important to make people aware of the miracle that nature—and we—are, with the hope that it would create a shift in peoples’ consciousness, and that would be my little contribution. Life bashed me around a bit. Soon after, I was fighting depression. Death became a familiar thought, and I thought that after exploring the creation of life in, Life from Light, it would be interesting to explore the end of it in 2045. I decided to analyse death from the perspective of our obsession to overcome it, and extensively researched Kurzweil’s Singularity paradigm for the future . I also researched hundreds of accounts of near death experiences. I came to wonder if we should be tampering with nature’s cycle of life, and that maybe there’s a purpose to dying. And now, I’m writing a third part of this trilogy, which deals with what happens in between birth and death: life itself, the choices we make that shape our lives, whether we can redeem ourselves from mistakes we’ve made in the past, and what’s the role of fate in our existence. This is my search, and my music is my survival mechanism—though it has raised more questions than answers. What I’m learning is that the meaning of life, and the mysteries of the Universe, are purposely too complex for our human minds to comprehend. Maybe we are just meant to live life and not question or try to understand it. Q: How long did 2045 take to write & record? What do you love most about the project? What (if anything) feels incomplete? A: It took about 4 years to write 2045. I devised some of its building blocks in my studio album ‘Slaves of Time’ (2015). It’s like when painters would work on sketches of the individual characters of a painting—studio albums are normally these sketches where I study the individual elements in detail. Then, it took another 2 years for the whole painting to take shape. I wanted to record 2045 live as much as I could. Metaphorically, it worked with the idea of the piece, a concert has a beginning and an ending—it has its own life-cycle. So I prepared two live performances, one on the 6th of July 2016, at St James’s Piccadilly in London; and the other on the 9th of July 2016, at Cowdray Park, Sussex. We multi-tracked everything, and I ended up with 30+ stems per performance. Because of limitations with the live ensemble, some elements had to be re-recorded, and some elements had to be blended from both performances. I took some time before mixing the album. I felt I had to gain some distance and perspective from a material to which I had become too attached. I love the fact that Ray Kurzweil himself gave me permission to use his vocal samples from his Singularity is Near documentary. Also, that Mark Watts gave me permission to use the fabulous recordings of the teachings of his father, Alan Watts. Both are a fundamental part of the composition, and I strongly feel the presence of both of them in the piece. There are many things that still feel incomplete. But again, I liked the idea of leaving it as it is. When we die, I’m sure there will be things we’ve left still to do, I liked the parallelism. Q: Perhaps in some unspecified amount of time, your musical career blossoms even more than it already has (it explodes in the best of ways)…what does that look like for you? A: I would be taking and performing my music around the world, collaborating with artists I deeply admire such as Nicola Benedetti, one of the most accomplished instrumentalists I’ve ever seen. Also with producers, visual artists, filmmakers I admire. I need to be inspired. It’s essential for me to be inspired, and, being constantly surrounded by—and working with—people that inspire me would be my dream. Q: Are you a musician for life? Or, do you see retirement in your future one day? A: For as long as there’s breath within me. I don’t know how to do anything else. Q: You get to collaborate with anyone of your choosing (dead or alive). Who is it? A: I mentioned Nicola Benedetti already, and there’s a long list of people I’d love to collaborate with. But someone I would have loved to collaborate with would have been Prince, I was fascinated by the man himself—as much as for his talent and his music. A: I live in my recording studio.